This website is a personal blogging space for me where I write mostly on SEO & Programming. I also tend to write about things which I’d like to remember, whether personal things or something that I think would be useful (reference) in the future. What I’m trying to say is that I shouldn’t have to worry whether people come on my site to read the stuff I blog about or whether Google sends me traffic because it thinks I have good content that addresses the queries of other users. However all that changed when they released the Google Panda algorithm. Not exactly since the beginning which was April 2011 but sometime in March 2012. I was getting a steady flow of visitors to my site because the number of posts on the site was increasing and I’ve been doing this for at least the last 5 years. I’m in no way a regular blogger but I tend to write especially when I struggle to find a solution to programming problems so that I can reference it later and to help other people out there. It’s a good feeling when you see people coming onto your site and it makes you feel appreciated (even better when they leave nice comments!). As I said before, I lost rankings on my site was a few keywords (some blog posts have stopped ranking where they were) because of the penalty imposed by the Panda Update. I know it’s that particular algoritmic update, not Penguin, because I’ve cross referenced the dates. Traffic to my website is now one-fifth of what it used to be. This affects just my pride to be honest because I do not make any money from this website (I’ve kept it ads-free since its birth). It just makes you feel sad that your once prized content has now lost all its merit. I’ve never bought any links for this site (why would I anyway, it’s not like boosting my SERPs will make me more rich) and the backlinks to it are purely editorial. Some people have found my website (blog posts) helpful and decided to cite me on their site (or forum). I write from my personal experience so it cannot be duplicate/rehashed content. It’s all unique and original! So why was I penalised? After reviewing my blog, I found lots of thin content on the site. Sometimes I would write a small paragraph in a blog post because that’s what was needed. I am not writing as a researcher or to provide a complete and accurate information for someone else. I am writing for myself, for my own use primarily, and even a short note is enough to describe something fully for my needs. However this is not how Panda works. It wants the best possible information regarding a certain topic. Obviously a couple of lines is not enough for them and you cannot judge quality from those. From what I gather, you need to exceed a threshold of low quality pages compared to quality ones before you get trapped in the Panda penalty. There are 2 reasons why I was not penalised as soon as Panda was out. The first theory is that I did not have as many thin pages then to reach the limit of sinking in on the balance. As more shorter blog posts were introduced, the overall quality of my blog decreased and thus I got pandalised. The second reason is the crawling rate of my site. As I said before, I do not blog often and therefore it could be that Panda caught me out much much later because Google does not crawl my blog often. On one hand, the whole concept of Panda makes sense because it takes out the weed from the garden. You will get less sites with inadequate results when you search on Google and that’s a good thing. On the other hand, it makes me frustrated that I have to change the way I blog if I want to be on the good side of Google. Of course, I don’t need to please Google; it’s my website and I can do whatever I want with it. Nevertheless, blogging solely for your personal satisfaction is boring because you don’t get the interaction with other people. You do not want to become a lonely person on the web which has billions of users. Therefore I’ve decided to do something about it. Fortunately, there was an easy option for me. I could mark all thin posts as “noindex” so that Google can ignore them. I did not want to unpublish the posts but wanted a way to strike a nice balance and that suits me. All I had to do was go through all the posts on the site and mark the ones with very low word count as noindex. UPDATE : So Panda updated itself at least 3 times after I wrote this blog post but there has been no positive effect on my site. The Panda algo is a much bigger beast than I originally thought and you need to significantly improve the content of your webpages to get out of the penalty which is not something I have time for (especially for this personal website). The long wait for a major Google PR update is now over as the PageRank has been refreshed today (27th July 2011). I’ve checked my sites (30+ I’ve got at the moment) and can confirm that it was not a minor update but a full scale one. Most of my sites have been an increase in PR but some of them dropped as well. Backlinks is what PR is all about and if you have been doing your link building well, then you would be happy today to see your PR going up the scale. If you haven’t though, there’s still time although you’ll have to wait a couple of months before seeing any result if you start your link building campaign today. What I’d like to share today is that an expired domain which I purchased a few months back, dropped to PR N/A during 2 last updates but for this PR update that just happen, it went to PR4. Well it has many nice juicy links pointing towards it and it was about time anyway. On another expired domain (which is PR3) where I linked a new site, the latter jumped from PR0 to PR3. However there’s no real movement in terms of SERPs, so I believe expired domains do not count towards ranking but they will give you PR love, so all is not lost. Facebook and twitter are 2 social networking sites which can increase the traffic to your website dramatically. However you need to have facebook fans and twitter followers first to benefit from them. So I started using twiends.com in an attempt to increase the number of twitter followers on my account as well as likes on my facebook fan page. Twiends use the terminology “seeds” which is basically equivalent to points or money. The more you have, the better as it will enable you to get more followers. When someone follows you on twitter, your number of seeds decrease (mininum 2 seeds for each follower but you can increase that to 5 if you want to attract more people). 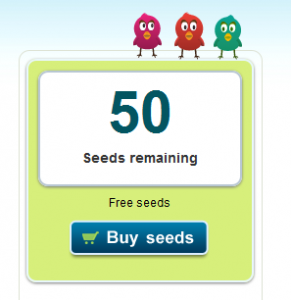 When you join twiends, you get 15 seeds to start off with but if you complete your profile, you’ll get an additional 40 seeds. So I had 55 seeds in my account and I decided to add my twitter page now. As soon as twitter was linked, I saw my seeds decreasing. In the space of a couple of minutes, I was down to 25 seeds. I checked my twitter profile and I saw I was getting new followers. However that was not what I wanted – I wanted twitter followers from a specific country so that it’s more targetted when I tweet. I searched quickly on twiends help page but had no luck. Google did not bring me any good results as well and within like 10 mins, I was at 0 seeds. This means that no one else would follow me as from now. I then performed another search to see how I could change my settings to get targetted followers and manage to find it. You have to click on Settings, then select Twitter from the left hand menu and edit your preferences. I specified the country I wanted to get followers from, gave 3 seeds for each follower, chose a Drop Rate of average and left the Membership Length at the recommended settings. The Drop Rate is basically when someone follows you (you lose seeds because that person gets the seeds for it) and then stops following you after a short period of time. I’ve had a couple of people do that on my account. Out of 23, 7 stopped following me within an hour. So it’s a waste of seeds. The membership length should however be left at the recommended settings as new users are the ones who are more likely to follow you. Since I had 0 seeds on my account, I couldn’t get more followers. I checked other free ways to get seeds and found out that if you join their newsletter, you will get 50 seeds. Referring other people to the site will get you 25 seeds if that person becomes a member that is. You can also buy seeds; for $30 you can get 1250 seeds. With 50 seeds in my account and followers targetted to a specific country, I did not experience any bad/unwanted follower. Actually I did not get any followers at all because the country I’m targetting does not have many users at the moment. Anyway, let’s see what the future holds for twiends. Going into the expired domain names business can be very rewarding if you know what you’re doing. Most people purchase expired domains as a quick way to make money from them while a few just want to get hold of a particular domain. Here we’ll be talking about how to get the most of expired domains. How long after a domain expires do you have to wait until you can purchase it? There are hundreds and hundreds of domains which get expired everyday because they are not renewed by their owners. However I’ll be concentrating my efforts on the .uk domains here. After a domain expires, there’s a 30 day grace period where the owner can still renew the domain. If the domain is not renewed, it goes into a 60 day suspension period where the name servers do not resolve. After that, there’s an additional 2-9 days before the domain becomes available again. So basically, you’re looking at 92-99 days before you can grab an expired .uk domain name. Why would you choose an expired domain name over another? There are two essential things to take into consideration when buying a domain that has expired. First is the Google PageRank (PR) and second is the traffic that it receives. There are ways for you to get a glimpse of the traffic for a particular domain like hitwise.co.uk but unless you keep all of the website’s content, the traffic will soon vanish. The problem with reconstructing the same content is that you will end up infringing intellectual property rights. That being said, traffic can also come in terms of referrals from other websites. For example, if there’s a link to that expired domain on a popular website, then you can get a lot of traffic from that. Most people find it easier to work with PageRank though. The higher the PR of the expired domain, the better it will be for you because we will be able to sell links on that domain at a much higher price and that’s what a lot of link sellers do, ie, grab expired domains, and sell links on them. Link buyers will look at the PR and think there’re getting a really good deal when it’s not really. If you can see the PR of the expired domain just before it expired, you can make your own decision on whether to get it or not. However PR is just a reflection of the quantity and quality of backlinks. So if the important backlinks are removed, the PR of the website will decrease as well. The best way to know if an expired domain is really worth buying is going to Yahoo Site Explorer and looking at the backlinks. Go to the webpages where the link is placed and check the corresponding PR of the webpage, if it has a high PR, then it’s good. Also check how far down the bottom the backlink is placed. The higher up the webpage, the better the backlink and the fewer the number of outgoing links, the greater link juice you will get. Backlinks from .ac.uk or .org.uk or gov.uk websites are likely to have a higher PR than others. However sometimes sites with other extensions have high PR as well and that’s why you will need to check them all to make sure you’re not missing out. Somestimes you’ll get a decent backlink from bbc.co.uk and other newspaper as well. How to maintain the PR of an expired domain? Once you’ve got a expired domain with a decent number of backlinks, you can pretty much guess what PR it will get during the next PageRank update. This will depend on the quantity and quality of the backlinks. However there are some steps that you will need to take to ensure that the PR is not reset for that domain. Some people just buy the expired domain and throw in content which is completely different to what was on that domain before and then wonder why the PR has been reset to zero and become N/A (not applicable). If you want to preserve the PR, you will need to have a similar theme to what was there before. Go to archive.org and look at the website when it was live. Make sure you write content similar to what was there before and try to keep the title tag of the homepage as closely as it was before. It is important that you do not just copy the same exact text from archive.org as this would be infringing copyrights. And do not attempt to ressurect the website by reconstructing the website from archive.org’s copy. How to get revenue from your expired domain? You can get a decent income from buying an expired domain by selling blogroll (sitewide links), blog posts with links to sponsor sites or placing banners on it. You can also put relavant ads by using Adsense, in-text advertising like Kontera/Infolinks or Adsense for Domain. You will find a lot of interest on forums.digitalpoint.com Link Sales section and most people will prefer to pay through Paypal. Many seo professionals will say that it is useless to buy expired domains but that’s not entirely true. For a Search Engine Optimisation (SEO) point of view, the domain will lose its authority once it is dropped. That is why it is better to transfer ownership before a domain get dropped if you still want it to rank for its search terms afterwards. In the case of expired domains, what I’ve seen is that you will still get traffic from referring sites where your backlinks are placed and some organic search as well if you keep the same theme. You will need to check the raw log file access and see which deep pages are being requested from referring sites and try to ressurect these ones to preserve the pagerank and possibly get organic search traffic from it as well. It is more difficult to make an expired domain rank for its search terms as it was before but you could try link building for the site and keeping the same content. And if you just want to make quick cash from it, then all you need is a high PR and some naive link buyers who do not take the time to research the domain onto which they’re buying links to see if it has been dropped before. There may be other causes for MySql to crash but the reasons above are more common. How to repair a crashed MySql table? Fortunately MySql tables which have been crashed can be repaired quite easily. All you have to do is use PhpMyAdmin or another MySql client program and run the repair command on that table (REPAIR TABLE employee). This will bring back the table in a consistent state. You can also use CHECK TABLE employee to see if there are any problems with the tables in your database. There are additional options that you can use when repairing/checking your tables but using the syntax without them should work just fine. How detrimental can it be to have crashed MySql tables? The MySql table in my database crashed around 15:00 and it was not until 22:00 that I noticed the problem. That’s the problem when you’re on shared hosting – you don’t get any notifications of problems and when you email support, it takes time for them to get the problem fixed. My website is database driven which means that if the database is down, the whole website is brought down. Running the repair command took less than a minute though and everything was back up after the table was repaired. However I lost half of my daily traffic within that time and lost half of my revenue as well. Of course, having a website that’s not working is not good for your visitors and losing money is not something that you want but those are not the biggest problems. For the duration of the downtime, search engine spiders (GoogleBot) may be crawling your website and when they encounter problems with the site, they can quickly remove your webpages out of their index and that will cost you even more than 1 day of downtime. Your rankings might suffer as well as a result of the downtime. Everyone these days seem to have a facebook account. Why shouldn’t they? Facebook has become a central point of communication in our daily life and helps us stay in touch with friends and family and see what they are doing without much effort. Holiday pictures, video albums and latest gossip are at out fingertips and as more people join the network, it becomes even more important for us webmasters to leverage the power of Facebook. Let’s face it – nobody likes having to register on websites to access a service, whether it’s for commenting on an article or asking a question on a forum. With so many websites out there, it becomes very difficult to keep track of the different username/password for each site and this is a major put off for a lot of visitors. By allowing the visitors of your site to login using Facebook, you’ll get more people to post on your site or better still engage more. 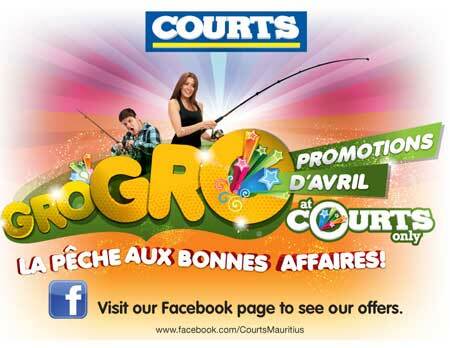 You will get access to the visitor name, email address, friends and a lot more. All the essential details that you want to capture in your registration page will be made available to you with Facebook Connect. Of course this should be used to complement your own registration page because not everyone is on Facebook and you cannot just allow anyone to engage with your site without registration because that’s going to get the attention of spammers but using Facebook Connect will make users engage more with your site. Facebook Share button is a bit different from Facebook Like button and is meant to be used to allow sharing your content even easier. If you display a Facebook Share button on your site and a user clicks it, your content will be made available to all the friends of this user. This is viral marketing in its simplest. The average Facebook user has around 120 friends and that content will be read by that many people if not more. A count of the number of times the content has been shared is shown next to the button as well and this shows how popular was content is. When people click on the Facebook Like button on your website, it tells you how many people actually like your content and since this is syndicated to the user’s activity in Facebook, you will get other people to your site who want to check what it is all about. Some people like using the Like and Share button alongside and it’s not that difficult to set up even for beginners. What, PR6 .gov.uk sites selling links? I was contacted by someone on a popular webmaster forum to buy a link on a .gov.uk site which has a valid PR6. The government site belongs to a council and because government sites tend to link to each other a lot, it has a lot of good quality inbound links. Getting links on such a site can really boost your ranking especially if you use a good targetted anchor text. However they are very hard to come by. Unless you’re a non-profit organisation or offering something unique which would be beneficial for the .gov.uk site and at the same time be relevant, you’re not going to get a link from them. As you can see from the above example, all these links look like spam even if it comes from a reputable website such as this .gov.uk one. Placing your website’s link there could do you more harm than good. It is not worth paying $400 a year to get such a link. If you’re already receiving traffic from Google, why would you want to risk your organic traffic and be penalised? I didn’t include the URL for this .gov.uk site deliberately but the only reason you can buy links on there is because they’ve got an immoral person working for them. Councils are not stupid to publicly do this sort of thing but a staff who has got access to the website (probably an IT guy who maintains the website content) decided to do a little business on the side. I’m pretty sure the council is not aware of this and the moment they find out, they will fire him. The conclusion is that buying links can jeopardise your website a lot. You’re better off using whitehat techniques and moving up the SERPs slowly but surely than regretting the big mistake of thinking you’re purchasing once in a lifetime link deal to boost your rankings.